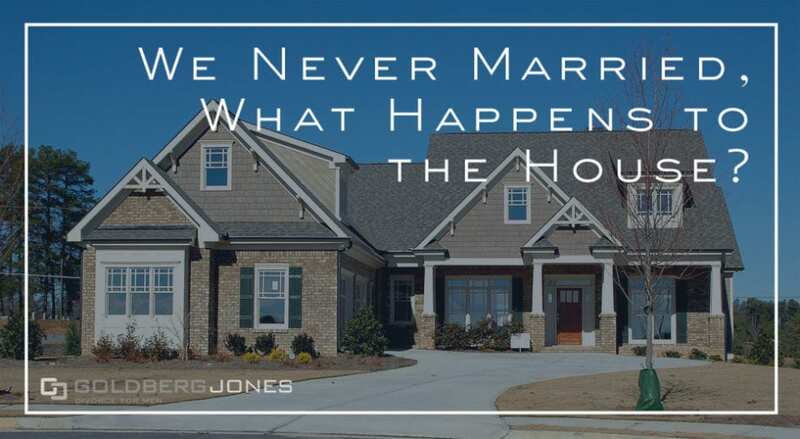 "If we never married, what happens to the house?" For most people, a house is the biggest purchase we ever make. And it’s so much more than just a possession. It’s a home, it’s where we build a life, where our kids grow up. Because it’s so valuable, it’s also often a key asset in divorce. But what about if you and your partner never married? What happens to the house then? Rick Jones, one of our founding partners, makes regular appearances on the Danny Bonaduce and Sarah Morning Show, where he answers family law questions from listeners. One recent caller, in the midst of ending a 25-year relationship, finds herself in this predicament. She and her not-a-husband never married but bought a house together. Now she wants to know what she’s entitled to and what options she has. The good news, if you find yourself in similar straits, is that you have both rights and options. Rick: “Great. You have two potential avenues to address this. Outside of family law is this concept of ‘action for partition.’ It’s just as if Danny and I owned a house together and we had to say, you know what, we’re parting ways, as business partners or other partners I guess, and ultimately dividing up the asset value associated with it. Now, that’s outside the family law spectrum. “The other potential she has is an action for what’s called a meretricious relationship, which is saying, ‘I know we weren’t married legally, but we’ve behaved as married, we’ve had joint financial obligations, take a look at this house for example,’ and then expand.